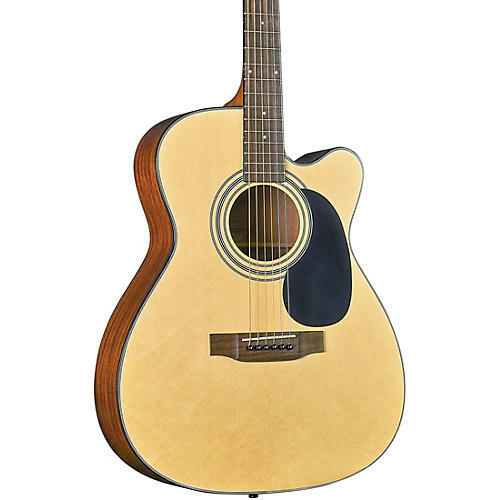 The Bristol BM-16CE acoustic-electric guitar was designed in a comfortable and easy-to-handle OOO size, making it ideal for players who wants an instrument that can do it all without spending too much. The Bristol BM-16CE has a big, full and rich acoustic tone au natural and the onboard Fishman Sonitone electronics let you amplify that tone to any level of volume you desire. The slim, fully adjustable mahogany neck plays like a dream, and the cutaway shoulder gives you easier access to the highest frets. The Bristol BM-16CE is built with traditional forward-X top bracing ensures the best tone quality. Its neck, back and sides are crafted from choice mahogany and finished in a natural color high-gloss.